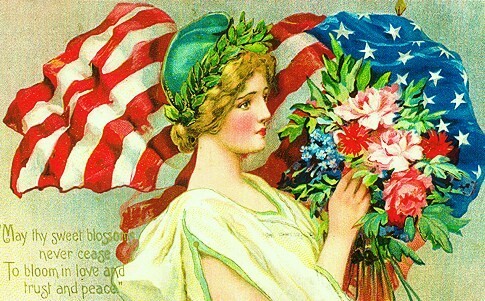 I spotted this gorgeous vintage Memorial Day postcard at Rosemary's blog, Content in a Cottage, and loved the look of it so much I decided to post it here as well. It is indeed a lovely card and we do hope that you will have an enjoyable time watching the Memorial Day parade. Here, in Hungary, we are celebrating Whitsun with a day's holiday. Hi Jane and Lance, I hope you too had a great and sunny day. Though it was a bit hotter and more humid yesterday (and today) than it should be. What's better than a package filled with books?